Aaron, a 23 year-old American, comes to Malaysia for the first time. His mission: to meet Nasri Aziz, the politician he believes is his biological father. A man who has no idea Aaron even exists. Encouraged by the letters of his late mother Nora, Aaron seeks to find out more about her life in Malaysia in the 1980s. Aaron's arrival comes as a complete surprise not only to Nasri but his wife [who wants to be known only as Datin] and son Iskandar, a teenager who leads a darker double life. While working to gain their trust, Aaron discovers a complex background of secrets and lies. And it is up to Sundari, the controversial NGO activist who was Nora's confidante in Malaysia, to reveal the shocking truth. 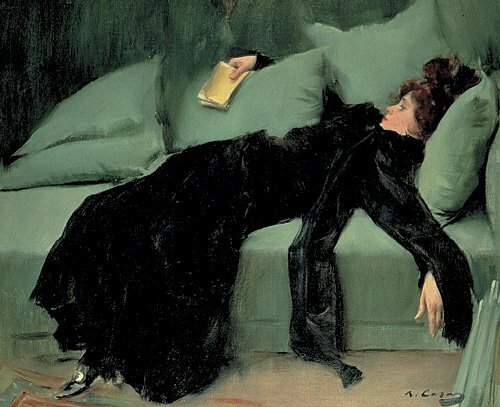 Do you want a new book to read that will keep you captivated from start to finish? Of course you do! 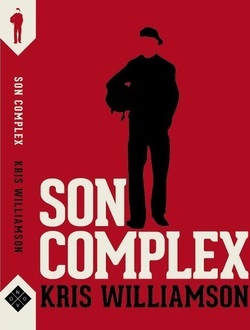 Well, then pick up a copy of Son Complex, the fantastic debut novel by Kris Williamson. It is filled with fascinating characters, intriguing story lines, and a shocking ending! Set in Malaysia, this book takes you on quite an emotional journey. Aaron is a young man on a mission. He is determined to meet his father and discover some truths about his mother. He wants to know about his mother's life and time in Malaysia. Armed with an old packet of letters (his mom wrote to her sister while she lived in Malaysia) and a number of questions, Aaron boards a plane and soon finds himself landing in the country his mom had once called home. Soon enough Aaron has managed to navigate his way from the airport to the front doorstep of Nasri Aziz' house - the man in his mother's letters. If his calculations are correct, then he is about to meet his father once he knocks on the door. Isn't that crazy? Talk about nerve-wracking! Anyhow, he winds up getting mistaken for the pizza delivery man and things get rather confusing for a bit - Aaron's so nervous that he pretends to be the pizza delivery man! However, in the end he talks with Nasri and tells him why he has come to see him and though at first Nasri is adamant that Aaron can't be his son, he eventually agrees that it could be true. So, he invites Aaron to stay at his home under the pretense that Aaron is an exchange student. Uncomfortable with the lie, Aaron reluctantly agrees - he just wants to know his dad. Of course, a disruption this big does not go unnoticed by Nasri's wife, who manages to express her unhappiness by being openly hostile toward Aaron. As for Nasri's son, Iskandar, well, he just ignores Aaron. Yeah, things are pretty much not going the way Aaron had envisioned. As days go by, Aaron finds himself getting to know his 'dad' and 'half-brother' and discovering some things about his mother through an old friend of hers. He manages to spend time with Iskandar and discovers the secret life that his 'half-brother' has been living behind his parents' backs. Drugs, motorbikes, a secret apartment, and delinquent friends make for quite an interesting night out on the town with Iskandar. Seems like Aaron is learning more and more about his family than perhaps he even wanted to know. As far as his mother is concerned, it seems as if she really did enjoy her time in Malaysia and wound up traveling around the country as often as she could. The way her friend Sundari describes her makes Aaron feel as if he really didn't know his mother all that well. Meanwhile, Sundari tries to turn Aaron against Nasri by telling him what a horrible and corrupt individual he is. All Aaron wants to do is get to know Nasri even better. However, accidents happen and shocking truths are revealed - all of which make for quite a jaw-dropping read. Aaron winds up realizing that the mother he knew was the mother he wants to remember. As for his father, well, that is something that I won't reveal - let me just say, "OMG!" Now, I didn't really go into too much detail with regards to the story, because I really do think its one that you need to read for yourself. Believe me, you'll want to read about Malaysia, Aaron and Iskandar. You will want to find out how this young man comes to terms with the ugly truth he discovers. And you will want to enjoy Williamson's terrific writing all for yourself. So, go out and get a copy and enjoy! Fall in deep with this tale of family drama and hidden secrets. Ohhh, this sounds good! I don't believe I've heard of it before so I'm extra glad you've reviewed it! Jennifer, you will love this book! Its so good!! This sounds great - I don't think I have found a book set in Malaysia yet and would love to hear more about it! rhapsodyinbooks, it is great! Definitely let me know if there is anything more you want to know about the book.